The Lake Norman Orchestra is excited to present its annual Holiday Gala Fundraising Concert and Dinner at Langtree Plantation! MOORESVILLE, N.C. - Nov. 4, 2018 - PRLog -- Join Maestro Eduardo Cedeño as he rings in the holiday season with the Lake Norman Orchestra! The LKNO will round out your holiday with its annual Holiday Gala Concert and Dinner, Sunday afternoon, December 9, 2018. • Food by Langtree Catering! Dinner, beverages and dessert! Proceeds from this event will help the LKNO continue its mission of outreach to the community - awarding scholarships, promoting music education and providing free and low cost, family-friendly performances for the Lake Norman region. TIME: Doors open at 4:30 p.m.; Event until 8:30 p.m. Seating is limited – Get your tickets here (http://lknorchestra.org/?espresso_events=lkno-holiday-gal...) soon! Donations of live and silent auction items are being accepted now! For more information, or to sponsor a VIP table, please email us at info@lknorchestra.org. Thank you to our Title Sponsor for this event – Randy Marion Automotive Group (https://www.randymarion.com/)! Maestro Eduardo Cedeño holds a Master's Degree in Music Theory from Butler University Jordan College of Music, Indianapolis with extensive music experience spanning the United States, Europe and South America. Cedeño studied conducting under the late Butler University Professor Emeritus Jackson Wiley and the Italian Maestro Ennio Nicotra. A founding member of the Simón Bolívar Symphony Orchestra, Director and Conductor of the Mérida Symphony Orchestra and Founding Member of the Coral Filarmónica de Caracas, Cedeño worked directly with acclaimed José Antonio Abreu. As a Founding Member of El Sistema, Cedeño continues to offer his time and talents to support its efforts in his community. 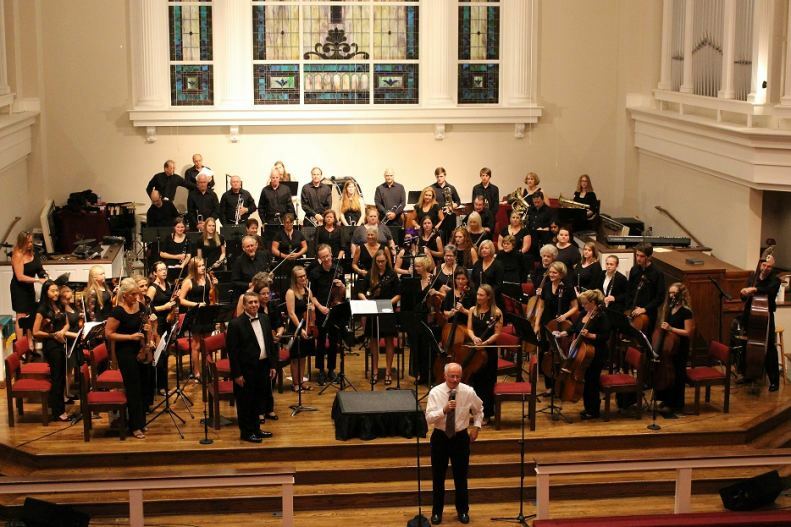 Cedeño has collaborated with organizations such as the Philharmonic Orchestra of Indianapolis, Indianapolis Opera, Charlotte Civic Orchestra, UNCC Opera, Carolina Voices and orchestras in Venezuela. Cedeño is Music Director and Conductor of the Lake Norman Orchestra in Mooresville, Music Faculty at Mitchell Community College, Orchestra Director and Strings Instructor at Gaston School of the Arts and Band/Orchestra Conductor at Langtree Charter Academy Upper School.